Welcome! We are happy that you are interested in learning more about St John’s Kindergarten and the Pre-Kindergarten program. We take pride that we offer a quality facility for child development. Showing each child how special he or she is to us and to God. Enhancing the children’s awareness of the world around them and their place in it, and instilling and sense of belonging. 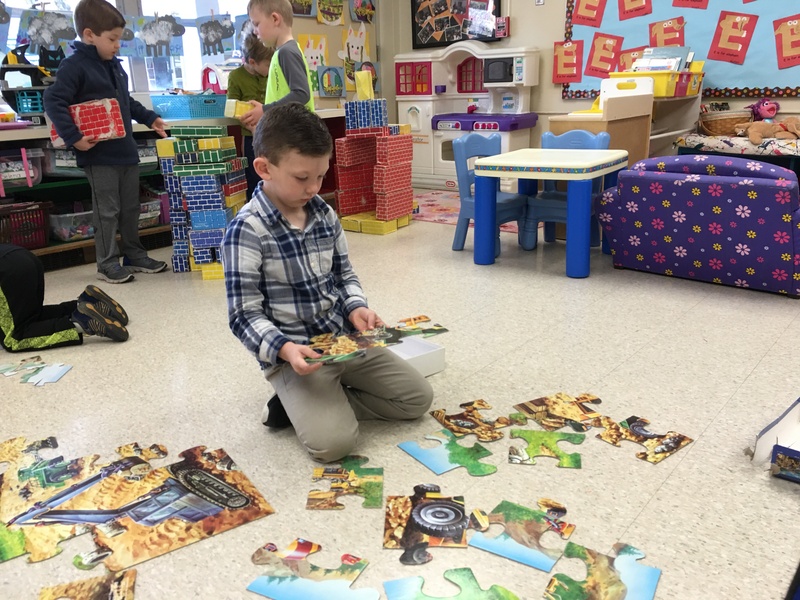 Cultivating within each child an enthusiasm for learning in a relaxed atmosphere that provides motivation through age-appropriate activities, where learning is natural and fun. Allowing children to play, have fun, share and explore their surroundings. 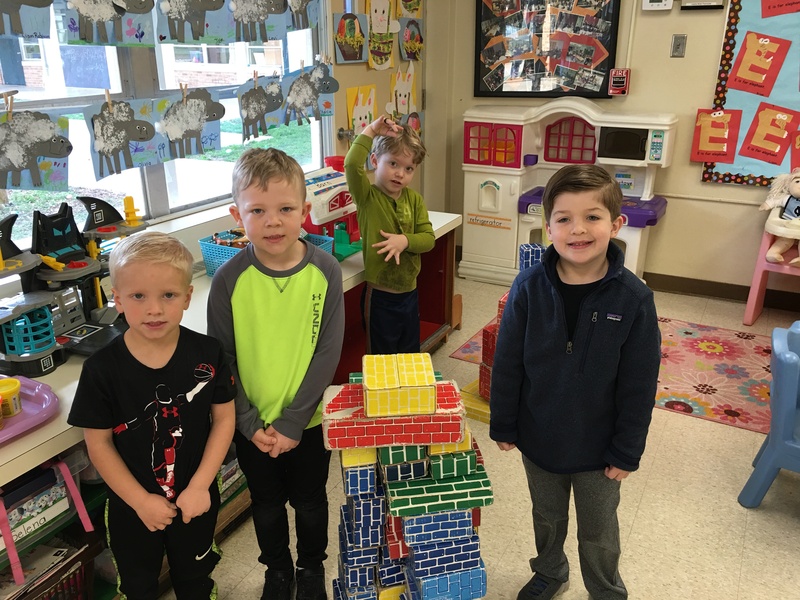 St John’s Kindergarten and Pre-Kindergarten programs provide a strong foundation for a child’s total education in a challenging, loving and supportive environment. The curricula offers a variety of exciting, age-appropriate learning experiences. They are designed to encourage each student to achieve his or her full potential. Students develop intellectual curiosity, creativity and a love of learning. 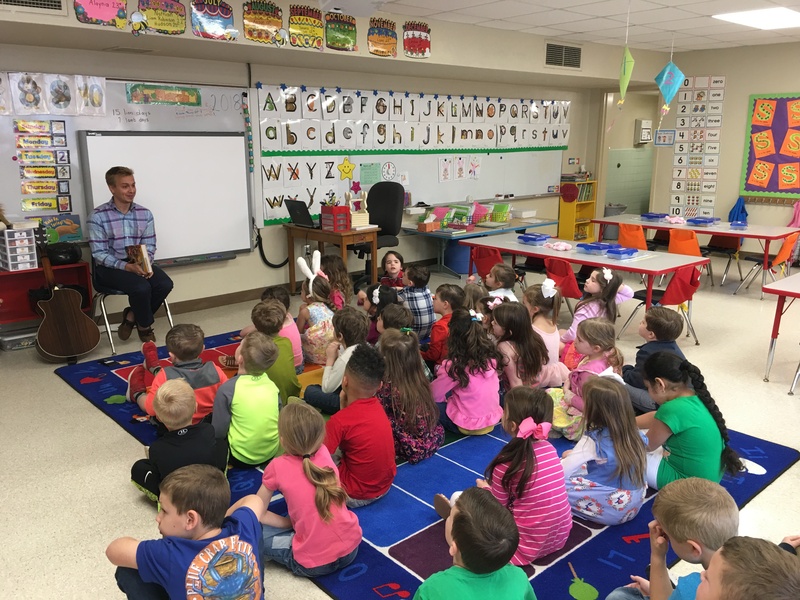 Small class sizes with certified teachers and assistants enhance the opportunity for all students to participate, accept responsibility and develop independence. 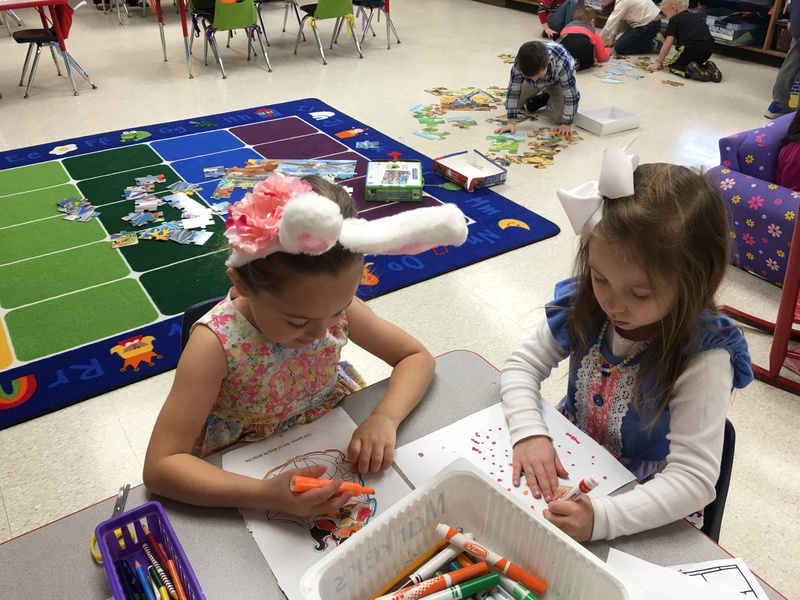 The teachers provide differentiated instruction to meet each student’s academic, social and behavioral needs. St John’s Kindergarten follows the Common Core Standards, as required by the state of North Carolina. Social and academic assessments are completed three times a year. Parents are provided with progress reports on their child’s academic and social development every three months. The ESGI and Reading 3D are used for assessments. Each day, the children have a special Bible story lesson. Through Bible stories and songs, the children learn that God loves us all and is always with us. Once a week, the ministerial staff from St John’s have a chapel visit with our children. 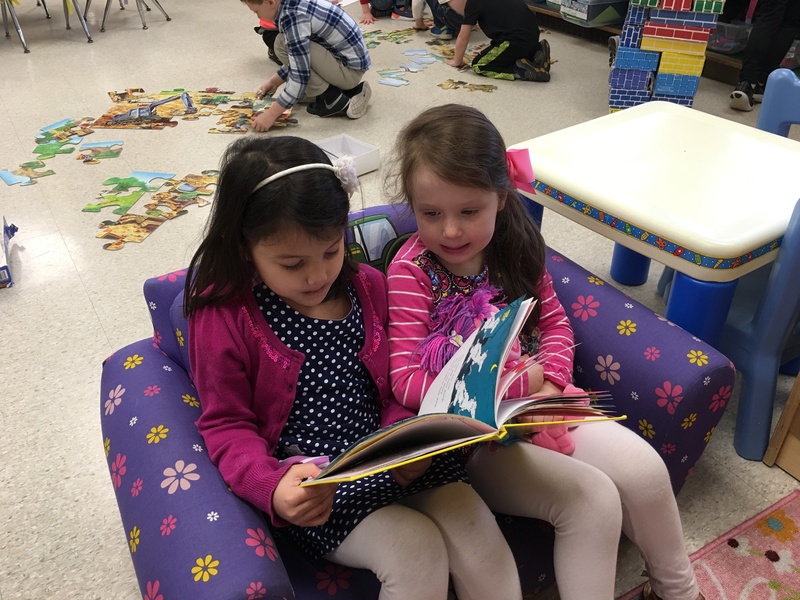 The pre-kindergarten literacy program develops phonemic awareness and letter-sound knowledge through a rich language environment which includes read alouds, nursery rhymes, and poetry. 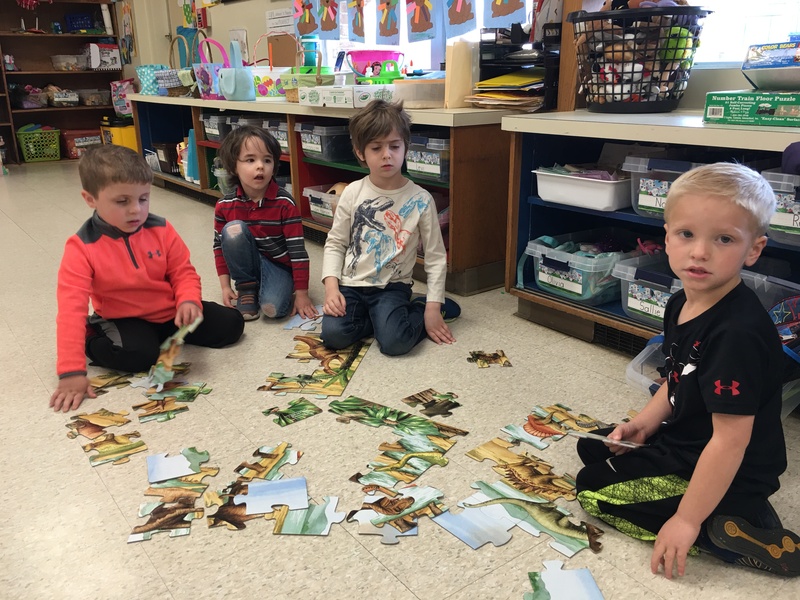 Students gain an understanding of initial phonics and word knowledge through auditory, visual and kinesthetic manipulation activities. These activities enhance each child's beginning literacy skills at a developmentally appropriate level. Early handwriting skills are taught through Handwriting Without Tears. Handwriting Without Tears is developmentally appropriate, multi-sensory handwriting instruction for all learning styles. 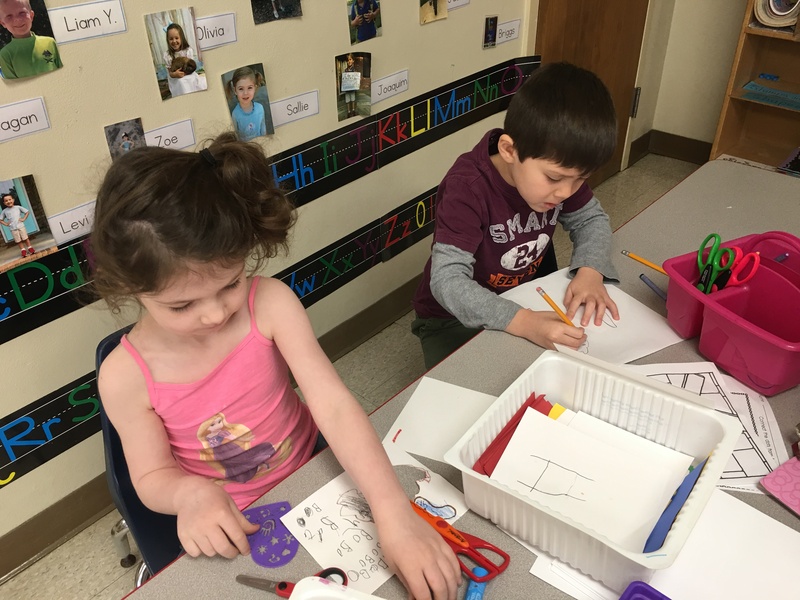 Pre-kindergarten students learn one-to-one correspondence; counting; sorting and classification skills; graphing and pattern development; and number recognition. Calendar activities and circle discussions integrate these concepts throughout the day. 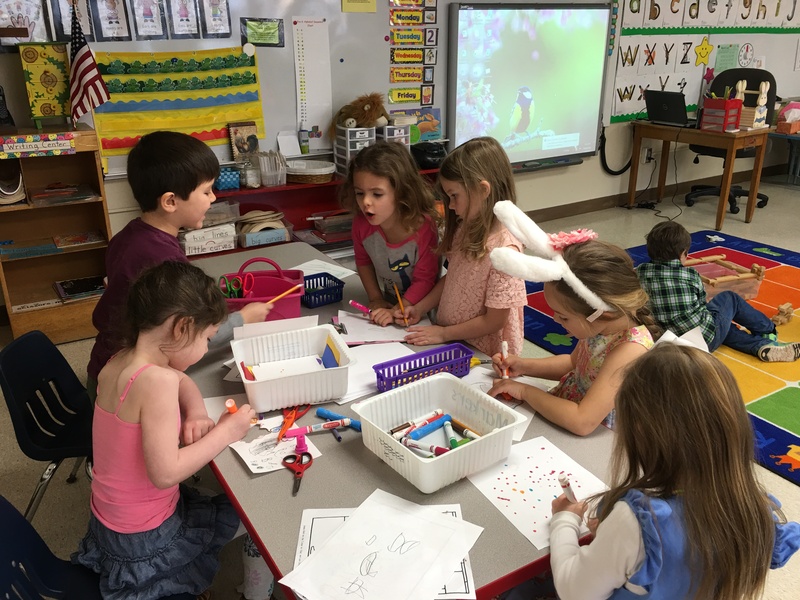 The pre-kindergarten explores the following science units: All About Me, The Five Senses, The Four Seasons, Animals and their Habitats, and Weather. *Collecting and packing food items for a non-profit organization that provides weekly food bags to school aged children. *Collecting hats, mittens, coats for Rowan Helping Ministries. 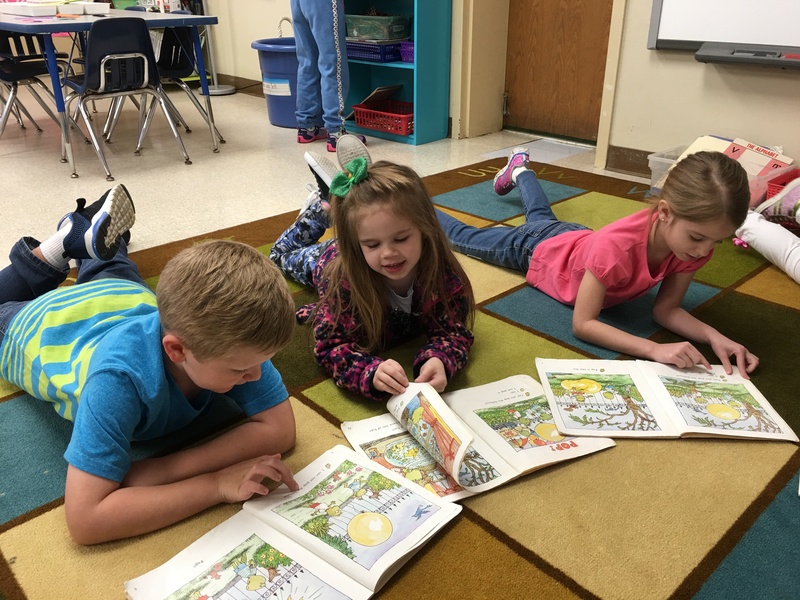 Through phonemic and phonological awareness the students gain strategies and skills necessary for being a successful reader. The students are exposed to a variety of literature genres. This exposure gives the students an environment that promotes book/print awareness, word recognition, and decoding skills. The Orton-Gillingham approach is used to achieve a solid foundation necessary for being a successful reader. The Orton-Gillingham is a multi-sensory program that allows the students, by direct instruction, to review, to learn new concepts, practice and apply what they learn. The students work daily in small literacy center groups. The small group setting allows the teacher and assistant to differentiate instruction. 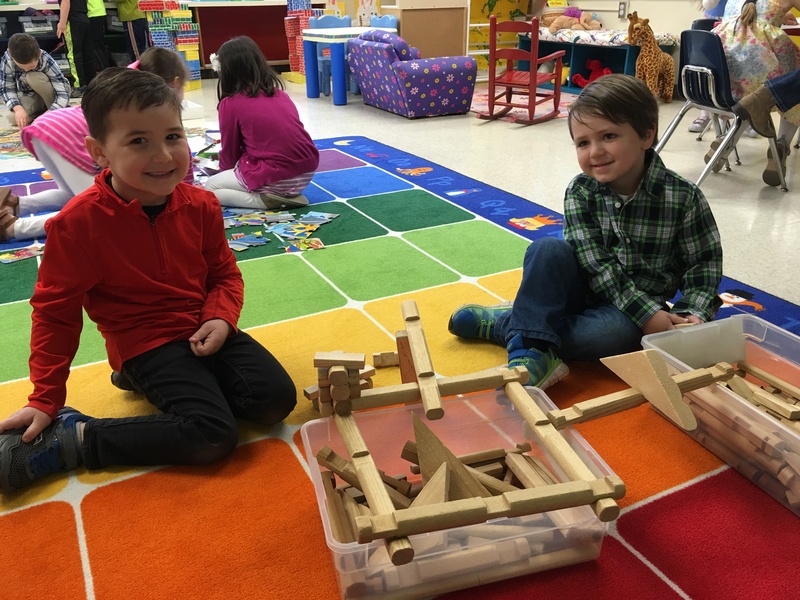 The math program incorporates the use of manipulatives and hands on learning in order to teach concepts. The following is a list of concepts taught: number concepts to 100, place value, 2D and 3D shapes, graphing and interpreting graphs, measurement, addition, subtraction, and decomposing and composing numbers. The science program explores physical, earth, and life sciences. Physical science gives the students an opportunity to classify and compare objects. Earth science encourages the children to observe weather, weather patterns, and the four seasons. Life science allows the students to learn about different types of animals and compare the characteristic of living and non-living things.